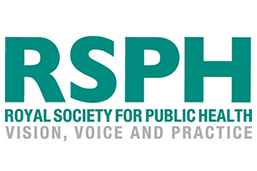 RSPH has announced the results of a national pilot evaluation of the Connect 5 cascade training programme for frontline health and care staff and the wider public health workforce. The evaluation found promising improvements in the knowledge, confidence and skills of participating staff in talking about and supporting individuals with mental wellbeing issues. The Connect 5 Train the Trainers programme, funded by Health Education England (HEE), has been delivered across nine English regions over the past 12 months. Using the framework of the Five Ways to Wellbeing and a cognitive behavioural model, it aims to empower non-specialist health and care staff to have conversations with their patients or clients about mental wellbeing which they may previously have seen as off limits or outside of their remit, despite their profound knock on effects on almost all other areas of health and wellbeing. While one in four people in the UK experience a mental health problem each year, Connect 5 aims to take the strain off under pressure specialist mental health services by taking a preventative approach which enables people to better manage their own mental health, increase their resilience and ultimately improve wellbeing. Where a diagnosable mental health condition is identified, frontline staff will also know when and how to refer on to more specialist support. 109 participants trained across 12 cohorts and 18 sessions in total, with participants showing promising improvements in knowledge, confidence and commitment to brief mental wellbeing interventions. An increase in staff knowledge and understanding of mental health and wellbeing; a change in attitudes towards supporting individuals to improve mental health and wellbeing, and an increase of confidence in having conversations about mental health and wellbeing. A further 17 Connect 5 programmes are planned for delivery to a further 117 participants over the next months. With a national evaluation and monitoring system now having been developed, and additional funding being leveraged by some centres to extend the scheme, Connect 5 has the potential to play an increasingly important role in supporting the mental health and wellbeing of the nation. 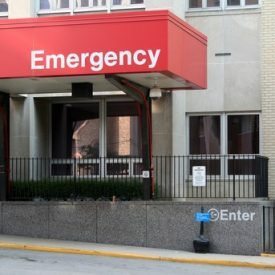 There has been a steep rise in the number of young people aged 18 or under arriving at accident and emergency (A&E) departments in England with psychiatric conditions, it has emerged. In response to a parliamentary question from Labour MP Bambos Charalambous, the Department of Health and Social Care revealed that, in 2017/18, there were 27,487 attendances to A&E departments by young people aged 18 or under with a recorded diagnosis of a psychiatric condition. This is almost triple the number in 2010/11, when there were 9,372 attendances, and almost double the figure for 2012/13, when there were 13,800 attendances. 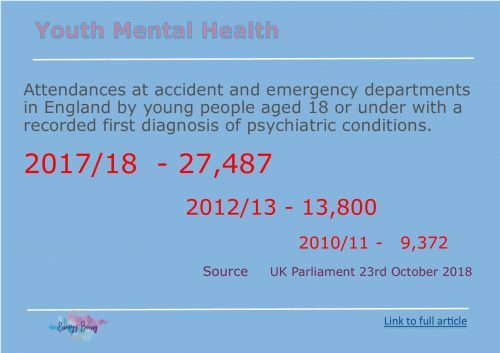 Emma Thomas, chief executive of young people’s mental health charity YoungMinds, described the figures as “alarming”. “One of the main reasons that crisis services are overstretched is that young people who are struggling don’t get help soon enough, which means that problems often escalate,” she said. “We often hear from young people who’ve gone to hospital because they don’t know where else to turn. The problem is that A&E can be a crowded and stressful environment, and is often not the most appropriate place for children and young people to go in a crisis. Bambos Charalambous said: “I have spoken to utterly distressed parents during my constituency surgeries, who have been unable to access crisis care for their children. The Secretary of State’s response to me reveals some devastating statistics. In a separate survey published by YoungMinds today, based on responses from 1,531 parents whose children have experienced a mental health crisis, 61 per cent of parents described the care that their child received in a crisis as “bad” or “unacceptable”. Meanwhile, 75 per cent agreed that “it would have been helpful for my child to have a safe place to go to while they were in crisis within our local community”. YoungMinds is calling for more safe places where children and young people can go in a crisis, such as safe havens in the community, so that they are no longer forced to rely on accident and emergency. For those that do arrive in hospital emergency departments, the charity is calling for dedicated mental health liaison and referral support, so that young people don’t end up in a cycle of returning to hospital in a crisis.